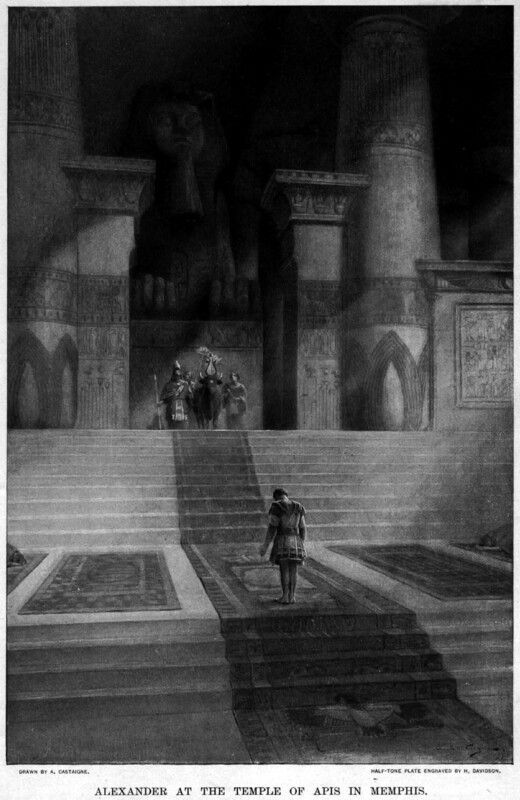 Alexander at the Temple of Apis in Memphis (Andre Castaigne 1861-1929). Picture: Wikipedia. From Heliopolis, [Alexander] crossed the river to Memphis, where, among the other gods, he offered a special sacrifice to Apis and held Games with both athletic and literary contests. 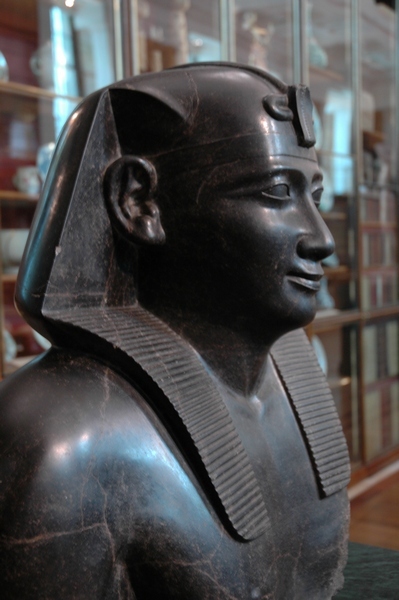 Alexander was deeply impressed by Egypt, and it is generally supposed that the potential strength of the country, which was greater than he expected, induced him to divide the control of it among a number of officers, as he judged it to be unsafe to put it all into the hands of one man.